There’s a lot a child can learn and gain when they’re at play. In between the thrills, joyful excitement, exercise and fun enjoyed at a typical playground, life lessons await at every turn. Games and activities have the capacity to protect, inform and empower both kids and adults…something Right To Play knows all too well. This worldwide organization harnesses the power of educational games to uplift and improve the lives of children in need. Founded by four-time Olympic gold medalist Johann Olav Koss, local volunteer coaches and staff across the globe have been managing programs since 2000 – all working towards the same goal – to help build life skills and healthy, safe environments for youths living throughout Africa, Asia, the Middle East, and North America. In addition to the physical health benefits that exercise and games provide, there’s a social and emotional component to Right To Play that extends beyond “child’s play.” The beneficial, long-lasting change that follows energizes families and entire communities. Right To Play fills classrooms with eager-to-learn students through the efforts of community and youth leaders that work towards inspiring children to enroll in school and regularly participate in class. Some Junior Leaders in the community are as young as eight years old! Right To Play trains local teachers and coaches on how to make education more exciting, enticing and inviting. Leadership clubs also form at the school level. As a result, Right To Play programs have seen attendance rates soar and have led to children staying engaged, focused, and active longer at school. They’re looking forward to taking their seat, raising their hands, and contributing to program activities. It’s this kind of energy that trickles down to the next generation of students! In just three short months, one Right To Play Leadership Club encouraged an impressive 78 children to enroll and attend school every day. Anyone up for a game of ‘Mosquito Tag?’ The smiles on the faces of children at play are far-reaching, but Right To Play programs are so much more than encouraging everyday exercise. They use games and play activities to empower kids with the skills, knowledge and motivation needed to avoid preventable disease. Coaches are trained to establish open lines of communication and dialogue with kids on significant, local health issues, such as malaria, HIV and AIDS, sexual health, and everyday hygiene practices. Children learn essential life-saving lessons and form healthy habits (like how to use a mosquito net or how to properly wash their hands). For instance, a game of ‘Water Relay’ stresses the importance of hand washing and cleanliness that keeps families, classmates, and themselves healthier. The delight heard in the laugh of a child who’s enthralled in play is literally contagious. It’s the kind of positive vibes that Right To Play sends out through their programs. This powerful energy invigorates communities, and helps create a happier, more peaceful environment that everyone can thrive better in. A game of Right To Play ‘Protector Dodgeball’ comes with a twist. The goal isn’t to hit an opponent; it’s all about protecting teammates. ‘Volley Tennis’ concentrates on building communication skills, and places less emphasis on how many points are scored. From the bliss of scoring their first soccer goal to the warmth felt when thoughtful teamwork pays off, these are the kinds of feelings that everyone (no matter their ethnicity, culture or community barriers they face) can appreciate, enjoy, and achieve growth from. Skills learned from play doesn’t always involve hand-eye coordination, speed and accuracy, it’s the lessons learned along the way that improves the emotional and social health of participants. In Pakistan, Right To Play introduces girls to games and activities that help them clear gender and cultural hurdles within their communities. Right To Play has offices in the United States, Canada, Norway, Germany, Switzerland and the United Kingdom. The impact of their programs is increasingly felt across the world, and thrives off of the actions of volunteers, partnerships, athlete ambassadors (including more than 300 professional and Olympic sports figures), and donations ranging from the likes of corporations to savvy shoppers, like you. Simply select Right To Play as your nonprofit of choice when donating all or a portion of your cash back savings towards enriching the lives of youths with programs centered on building teamwork, self-esteem, safety, and a better quality of life. And, if you haven’t already, downloading the Giving Assistant Button is an excellent way to stay on top of the latest deals and discounts that can help your donation to Right To Play grow. This post was written by Luis Sanchez, Engineering Manager at Giving Assistant. Photo credit: R.J. Peña. I’ve been fortunate enough to be able travel the world and experience many of the wonders it has to offer. However, my travels have also shown me the ugly reality of poverty and social injustice on this planet firsthand. For this reason, I decided last year that I needed to do something more meaningful with my travels. I wasn’t sure how to find an organization that would merge my love for adventure travel with philanthropy, until one evening, when my friend Ben invited my partner Raul and me to happy hour in San Francisco’s Castro district. After a couple of drinks, Ben told us that he was on the board of a nonprofit organization named Chooda, which organized a yearly fundraising bike ride in Zambia. 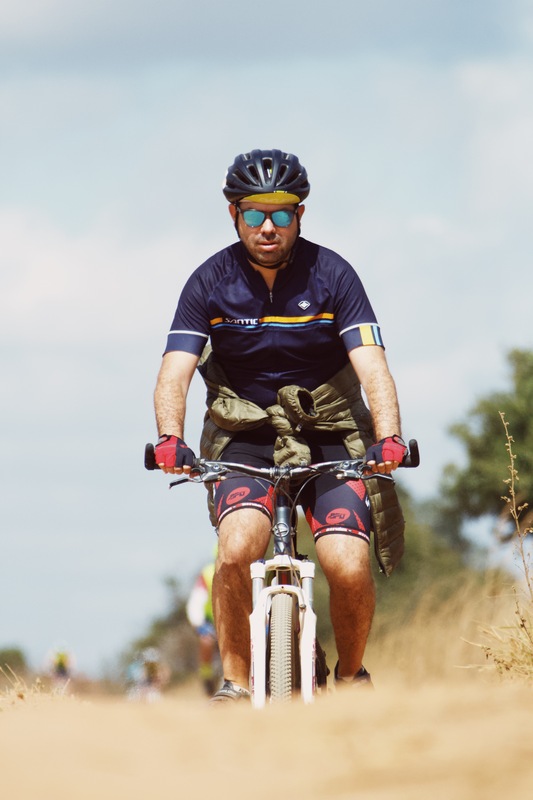 He also mentioned that the funds collected from the bike ride go directly to three fantastic nonprofit organizations doing remarkable work in this part of the world, ranging from economic empowerment of women and girls, to providing treatment and education for those affected by the HIV pandemic. After chit-chatting for a bit, Ben popped the question. That same night, Raul and I went home, went to Chooda’s website, paid the registration fee for the biking trip, and went to bed. 1 in 8 adults in Zambia are infected with HIV. 64% of the total population lives below the poverty line, rising up to 80% in rural areas. Life expectancy is just 58.1 years—however, this is a considerable increase from the 2012 life expectancy of 49.4 years, thanks in part to improved access to antiretroviral treatments. A few weeks later, I got my first-ever road bike and started training. Initially, I only rode my bike within San Francisco city limits. Eventually, Raul and I trained more, riding across The Golden Gate Bridge and conquering the Marin Headlands. I needed to raise a minimum of $4000 to even qualify to participate in the ride! Because I work at Giving Assistant, where we help over 17,000 nonprofit organizations like Chooda, I felt like I understood some of the difficulties nonprofits faced when it came to fundraising. My fundraising efforts involved social media, hosting an event at a bar, doing toastmasters presentations about Zambia, asking for donations at San Francisco’s AT&T ballpark before a Giants game, and peer-to-peer fundraising through Giving Assistant. After only a few months, I hit the required $4,000 and surpassed my personal fundraising efforts. 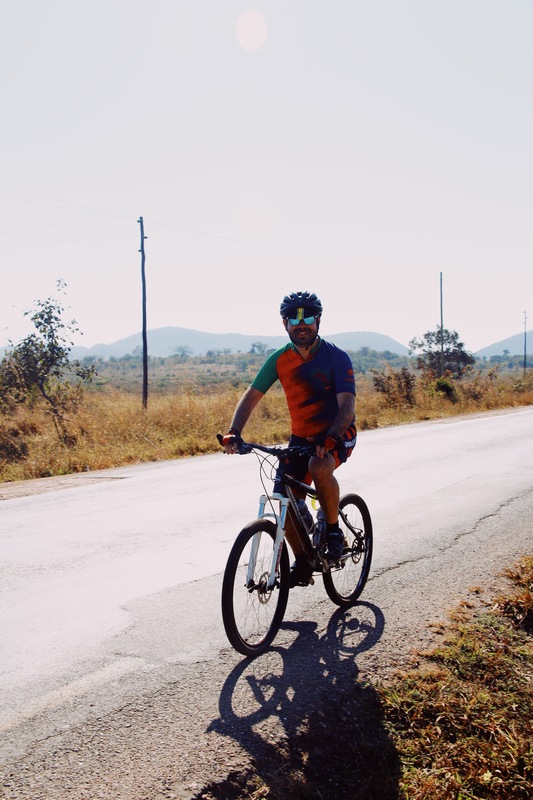 I am even more proud to report that collectively, all 38 riders committed to this Zambia biking adventure raised over $200,000 towards Chooda’s mission. As for me: About 20% of my donations came from online shopping through Giving Assistant! Just normal online shoppers, donating the cash back they earned in small, yet very meaningful amounts. Below is a graph showcasing the growth of my donations between November 2017 all the way into June 2018. The big day came, and I started my long journey to Zambia. It took 4 flights, and over 26 hours of flying time—not counting connecting times! On my last leg from Johannesburg to Lusaka, I felt excited but a bit overwhelmed. I didn’t know what to expect on arrival, but as soon as I landed, I was welcomed by the most wonderful smiles. That night, I went to the campsite and met some of my fellow riders. Initially, I was a bit intimidated. Most of these riders were passionate bikers who had done multiple day-long fundraising rides like the AIDS Life Cycle from San Francisco to Los Angeles. As for myself, I had still never ridden for multiple days at once. Again, I was feeling under-trained and overwhelmed about my decision to take on this endeavor. The next day, we had the opportunity to meet some of the fundraiser’s beneficiaries. Together, we built bikes at World Bicycle Relief that were given to boys and girls in rural areas to help provide them with better, more reliable access to education. Unfortunately, we learned, some kids in Zambia have to walk up to 10 miles each day to get to and from school. We also learned that 70% of the bikes that get built and donated go to girls, while only 30% go to boys. The reason for this is that girls are tasked with many more domestic chores than boys. Consequently, they fall behind because of the cultural obstacles they face. In many villages, it is common for girls to arrive at school late and tired if they arrive at all. By providing bicycles to children, especially girls, we can empower them with knowledge and ultimately, change the course of their lives. The next day was our first day on our bikes. I felt excited to be on the road. The moment we started riding, kids ran up from all over the place. They were excited to see us there! We were greeted with high fives, cheers and smiles along the journey. These beautiful smiles kept me going. It helped that approximately every 13 miles, we made a pit-stop for water and snacks. We would also wait for the last rider to get there before resuming the next leg of the journey. By breaking the trip into 13-mile legs, the 325-mile journey felt more digestible to my brain, which only had to focus on finishing 13 miles at a time! Every night we gathered for dinner and a fireside chat. During these chats, we’d share stories of our hard days on the bike saddle. There was the day we helped pump water from a well, and moments when locals would add us to Facebook. At dinner, we’d also exchange the pictures and selfies we took during that day’s ride. After a week on dirt and sandy rural roads, our trip came to an end. After crossing the final line at the majestic Victoria Falls, I felt an amazing feeling of accomplishment. However, I also felt a bit sad that such an amazing opportunity had come to an end. Africa had changed me. Today, more than ever, I feel as though having a positive social impact on our global community is not so much a choice as it is our collective responsibility. I would like to take this opportunity to thank everyone who contributed to my cause. If you are currently fundraising for a registered nonprofit, I strongly encourage you to use Giving Assistant’s platform through your friends’ and families’ everyday online shopping. Email Giving Assistant’s nonprofit team at nonprofits@givingassistant.org and they will be more than happy to assist you with your personal fundraiser! Known for assisting millions of people achieve their DIY dreams, providing design solutions, as well as fixing, renovating and upgrading personal spaces, The Home Depot holds the title of being the largest home improvement retailer in the world, with a reputation for having an even bigger heart. A crew of nearly 400,000 associates is responsible for manning more than 2,200 stores across the United States, Mexico, and Canada. Those numbers produce an impressive squad of volunteers who donate their time, energy and innovation to The Home Depot Foundation programs and Team Depot projects – the company’s way of giving back to the community. The bulk of charitable actions that The Home Depot Foundation and Team Depot primarily focuses on include improving the housing situations and quality of life of U.S. veterans; providing natural disaster relief to communities in need, and education such as transforming individuals into skilled tradespeople and addressing the skilled labor gap. The Home Depot Foundation often joins forces with a wide range of local nonprofit groups and other organizations, such as Meals on Wheels, American Red Cross, Volunteers of America, Gary Sinise Foundation and Habitat for Humanity International, to form partnerships that complete endless “do-good” projects across the country. For example, their joint venture with Habitat for Humanity led to the formation of Repair Corps in 2011, which funded the remodel, repair, and renovation missions of nearly 100 homes belonging to U.S. military veterans and their families demonstrating a critical need. And, The Home Depot’s month-long ‘Celebration of Service’ campaign honoring military vets wound up investing in initiatives that totaled 9.1 million dollars in giving power that culminated on Veterans Day, with the promise of roughly 20 million more in funds being delegated over three years to meet the housing needs of veterans. In 2016, The Home Depot Foundation announced a goal to invest a quarter-billion dollars in veteran-related causes by 2020. This May, the Foundation far exceeded its objective – two years earlier than expected – just in time to make the announcement at the 40th anniversary celebration marking the founding of The Home Depot. National Partner Grants Program: Helps fight against homelessness in veteran populations, as well as actively satisfies the housing needs of veterans such as building unique customizations for senior vets and veterans with disabilities. Veteran Housing Grants Program: Provides large grants to nonprofits for the development and repair of veteran’s housing, including permanent supportive residences and transitional living facilities. Community Impact Grants Program: Delivers small financial grants to non-for-profit organizations to breathe life into community volunteer projects which place special emphasis on serving local veterans. Retool Your School Campus Improvement Grant Program: Donated over $1.8 million in the form of 490 grants that has been used to enhance the college campuses of Historically Black Colleges and Universities (HBCUs). The Home Depot for Kids Workshops: Introduces local youth to confidence-building, family-friendly workshops on the weekend (like constructing a birdhouse or wooden car) that take place on a monthly basis and are completely free. Disaster Relief Program: Offers supplies, resources and manpower to residents affected by natural disasters that require recovery and rebuilding efforts. Home Depot also gives back to the community through the sales and discounted goods they offer shoppers throughout the year and for every season. Right now, fall décor savings are in full swing – from back to school sale items, like room accents that add just the right touch of home to a college dorm room to cozy bedding for all of those chilly autumn nights. Take up to 30% off (including top sellers) with their home décor sale that offers discounted duvet covers, faux mink throws, reversible comforters, and bath towel sets. Also, keep an eye out for discounted The Home Depot furniture sale prices; it’s the perfect time of the year to revamp your style for the colder season. Tables, chairs, sideboards, cabinets, and complete sets for the living room, dining room, and bedroom are up to 25% off this season. And, if you’re interested in keeping up with the latest The Home Depot coupon codes, don’t forget to download our Giving Assistant Button, which keeps you up to speed on the latest ways to save money and do a little giving of your own in the process.